Gorgeous single story home with 3 Bedrooms & 2 Bathrooms + a Next Gen Suite w/full bathroom and bedroom. Step through this meticulously maintained home to 18" tile floors that flow through the hallways, bathrooms and into the kitchen & dining rooms. 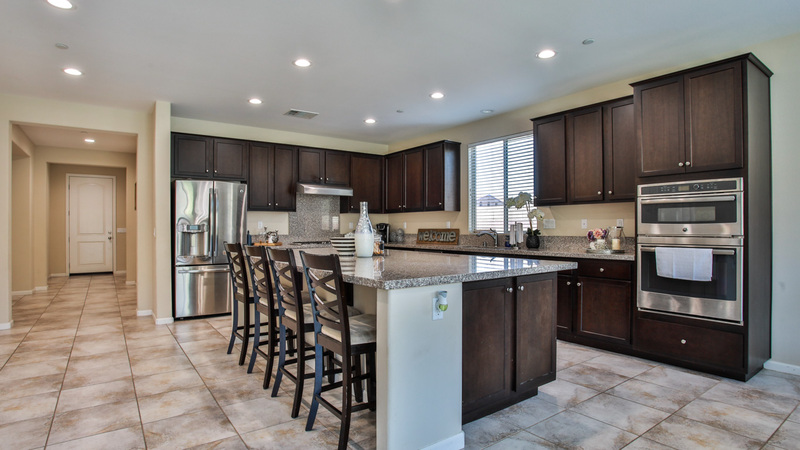 The kitchens impressive island is the focal point of this space with lots of storage & bar seating for 4. The rich chestnut colored cabinets are accented by the granite counter tops, stainless steel double oven, range hood, dishwasher & hardware, & under mount farmhouse style sink. The dining area is spacious enough for a large table to entertain. 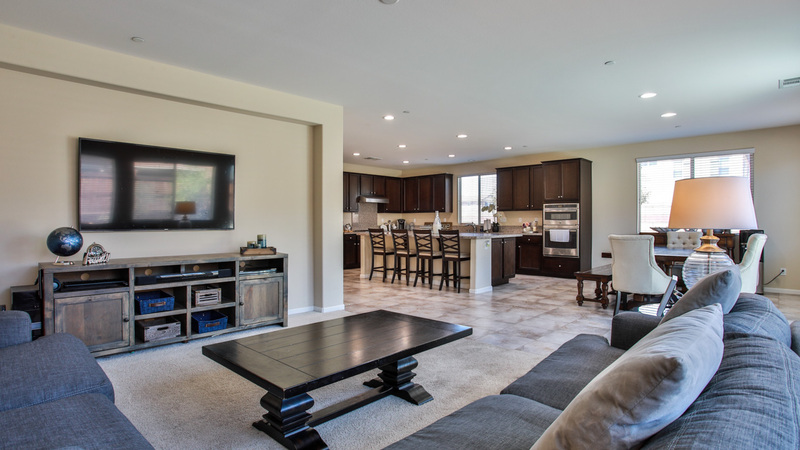 The family room is warm & inviting in this opens floor plan. 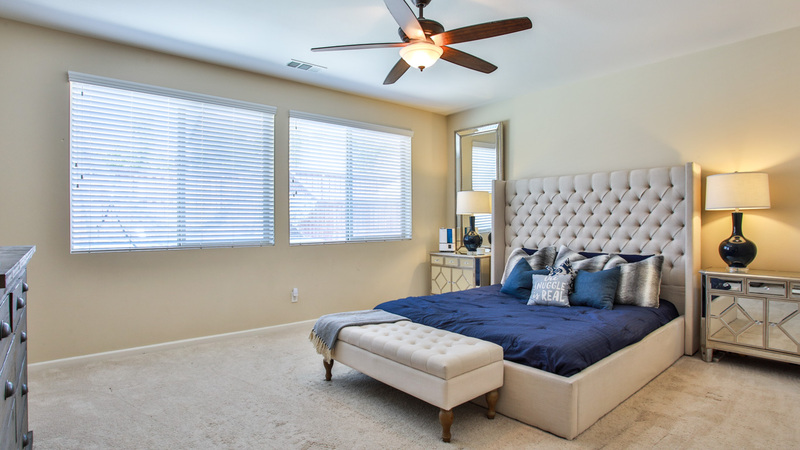 The master bedroom is spacious with lots of natural light & a lighted ceiling w/attached master bathroom featuring dual sinks, separate shower and tub, privacy toilet door and large walk in closet. 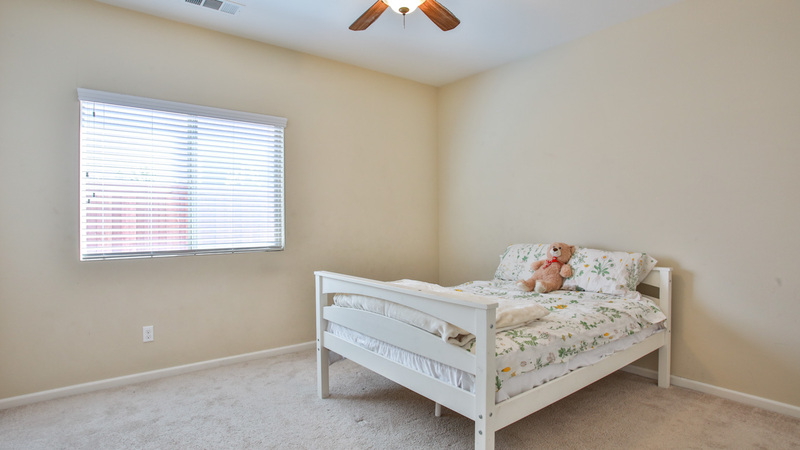 The remaining 2 bedrooms are spacious and feature a lighted ceiling fan. There are so many options with the Next Gen Suite. This space could include 2 bedrooms, a living area, private bath, & is plumbed for a kitchenette + stackable laundry closet & linen closets. This space could easily be closed off to the primary home to offer even more privacy making the possibilities endless. Dimable LED lights & sprinkler system are throughout this home. The backyard is low maintenance & fully landscaped with raised flower beds. Located in the Sundance Community with LOW HOA fees which include a park & community events throughout the year.